Played high-school basketball at East HS, Anchorage, Alaska. Played college basketball at Duke University (1994-99). Signed for the 1999-00 season by Cleveland Cavaliers. Moved to Italy for the 2002-03 season, signed by Benetton Basket Treviso. Moved to Turkey for the 2003-04 season, signed by Efes Pilsen Istanbul. Moved to Russia for the 2004-05 season, signed by Dynamo Moscow. 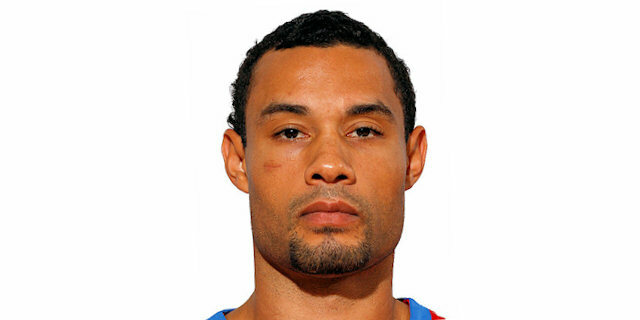 Signed for the 2005-06 season by CSKA Moscow. Won the 2006 and 2008 Euroleague with CSKA Moscow. Named the 2008 Euroleague Final MVP. Named to the 2005-06 All-Euroleague Second Team. Named to the 2006-07 and 2007-08 All-Euroleague First Team. Named the 2005-06 Euroleague April MVP. Led the 2006-07 Euroleague in free throw shooting percentage (92.4%). Won the 2002-03 Italian National Championship with Benetton Basket Treviso. Won the 2003-04 Turkish National Championship with Efes Pilsen Istanbul. Won the 2005-06, 2006-07, 2007-08, 2008-09, 2009-10 and 2010-11 Russian National Championship with CSKA Moscow. Won the 2003 Italian National Cup with Benetton Basket Treviso. Won the 2006, 2007 and 2010 Russian National Cup with CSKA Moscow. Won the 2002 Italian Super Cup with Benetton Basket Treviso. Named to the 1997, 1998 and 1999 ACC 1st Team. Named to the 1999 1st Team All-American. Has been member of the US U-18 National Team. Played at the 1995 World U-18 Championship. Won the bronze medal at the 1998 World Championship.